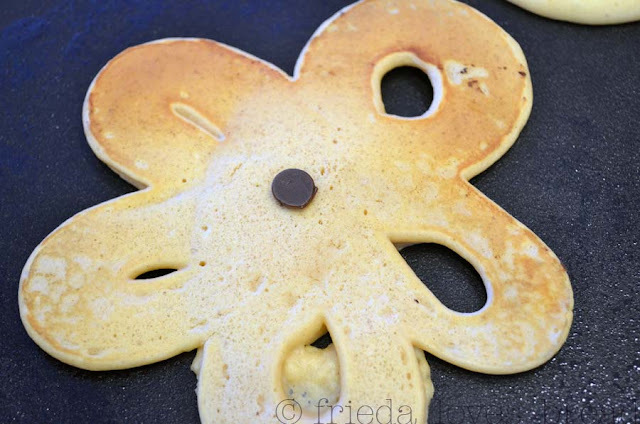 Frieda Loves Bread: Peanut Butter Bunny Pancakes! 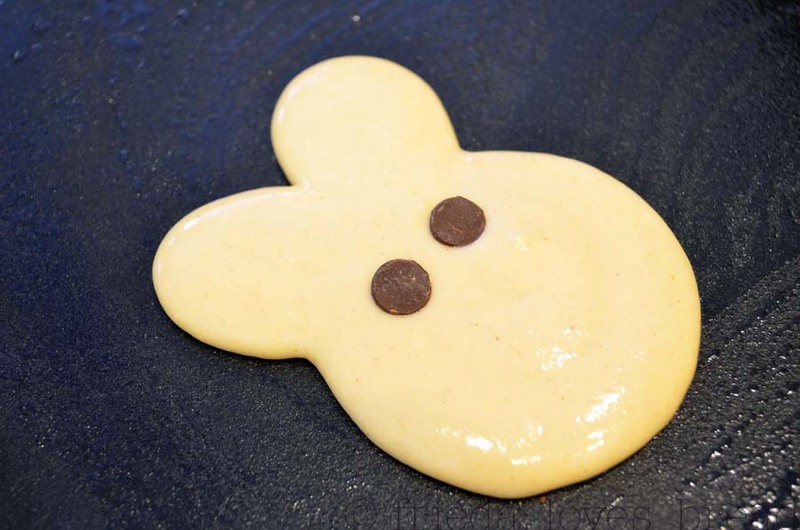 6 Peanut Butter Bunny Pancakes! My family really enjoys this peanut butter pancake recipe. So much, that it is almost made weekly, alternating between this and the corn muffin pancake recipe. 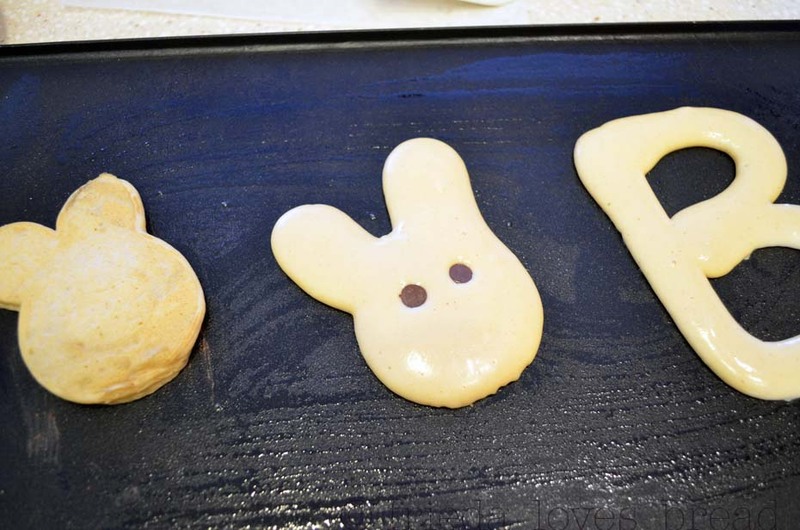 Many moons ago, I would make shaped pancakes with metal forms that needed to be sprayed. Now, with this Tovlo Cupcake Pen, I can make any shape that I want! This pen is awesome when I make any of my mini doughnuts or mini muffins or brownies. 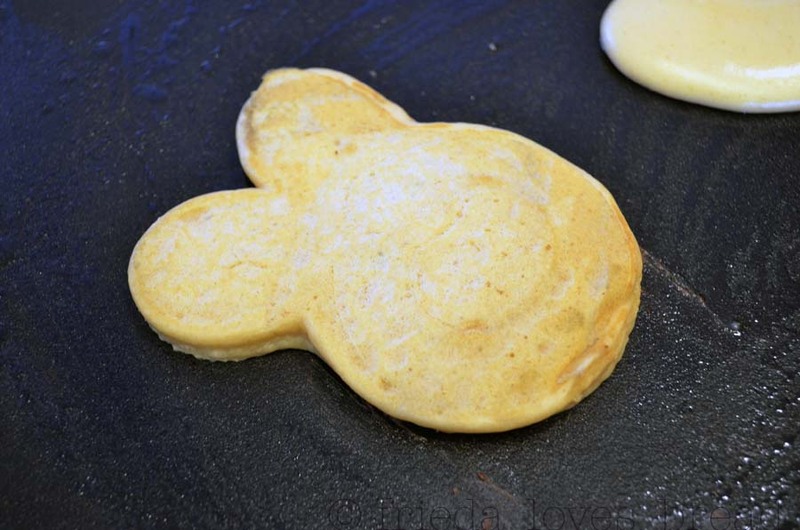 The pancakes themselves are easy to mix up. The milk, peanut butter and egg are combined. 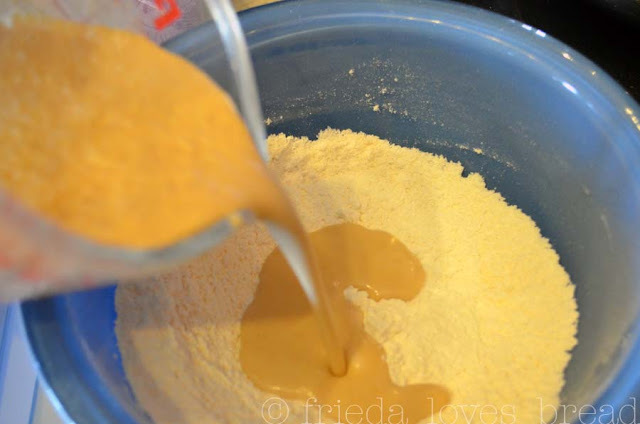 This mixture is poured into a bowl that has flour, sugar, baking powder and salt. 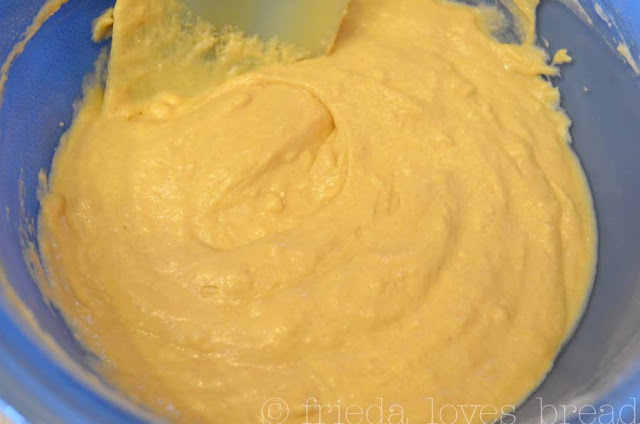 Melted butter is folded in and stirred until just combined. 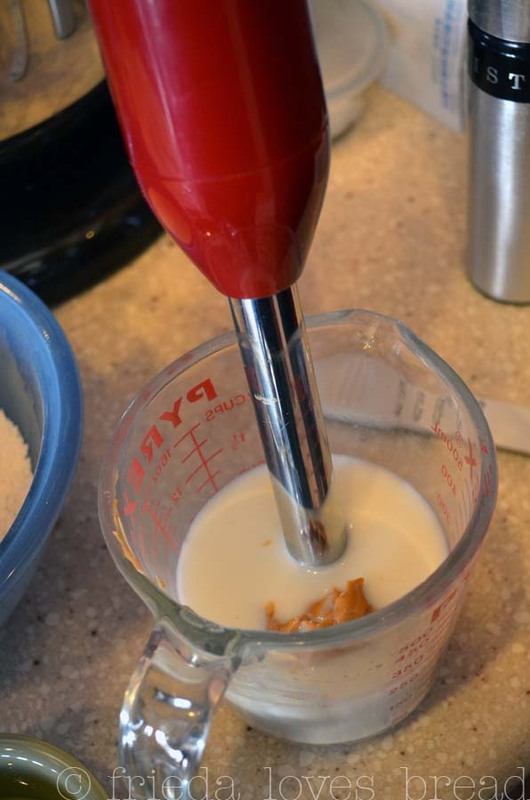 While your griddle is heating up, let your batter sit for a few minutes to allow the flour to absorb the liquids and for the baking powder to be activated. Pour mixture into the pancake pen, or large squeeze bottle with a wide tip. Squeeze the batter onto the hot and buttered griddle. Add chocolate chips for eyes. We can't have blind bunnies, can we? Auuugggghhh, my eyes, my eyes!! I can just hear him saying ... in a muffled voice. While his face is cooking, let's make a friend for him. Oh, how about an initial? The pancakes are done when you touch the centers and they spring back like a cake. Guess who always eats the ears first? What a great thing to own! I must have one. Love the pancakes. 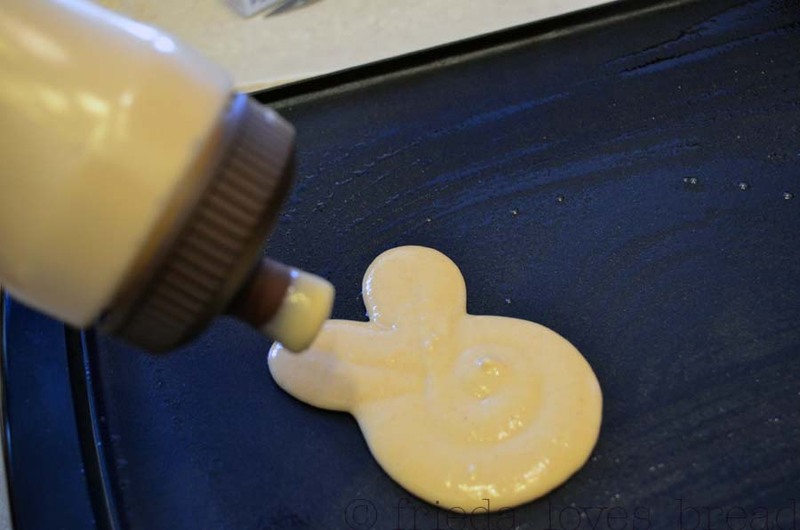 Perfect for Easter morning! I love that pen! Where can I buy one? The pancakes are adorable and I need to try the peanut butter. 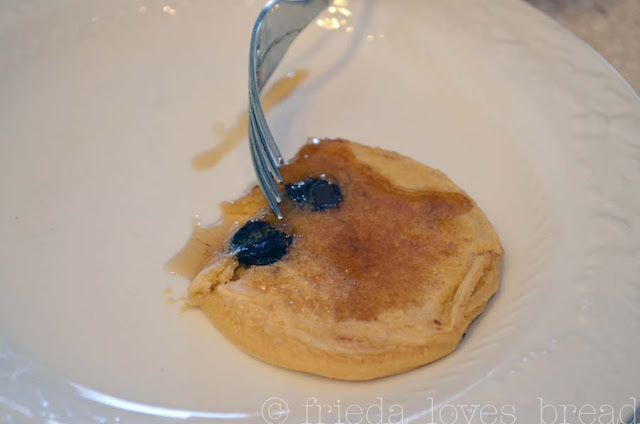 My family loves the corn muffin pancakes! You can get them from Amazon, although I have seen them at Winco and Harmon's grocery stores. Years ago-(He is 38 now! 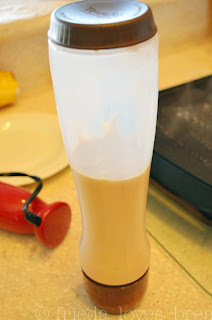 )-I always made "creature crepes" for my son's breakfast- I used a turkey baster and it worked fantastically! Wow. I have been cooking for a lot of years and when I saw this post I immediately thought, "now WHY haven't I seen a recipe like tihs before in all these years?" LOL. That writing pen looks awesome and such fun. Already put onto my wish list. So cute! I'm afraid my bunny wouldn't look like a bunny if I tried this! hahaha I'm not as crafty with food as you are. They are darling! !